Sometimes, the best outings are the ones that are spontaneous. We were at IMM for some grocery shopping some saturdays back, and decided to take the boy to the rooftop playground at the mall. The playground had loads of older kids having a ball of their time. Hence, while it is under the shade, we steered clear in case J gets pushed around by them. 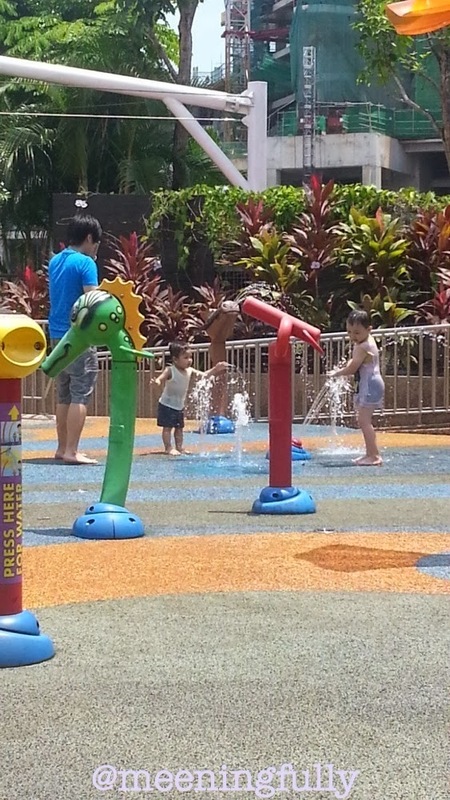 The water play area, while in the sun was more inviting. We did not bring any towels , but had an extra set of clothes for J. So, we encouraged J to join the other kids and have a splashing good time. A good time he sure had! *Pardon the low-res pictures. Took them with a mobile phone from a distance. 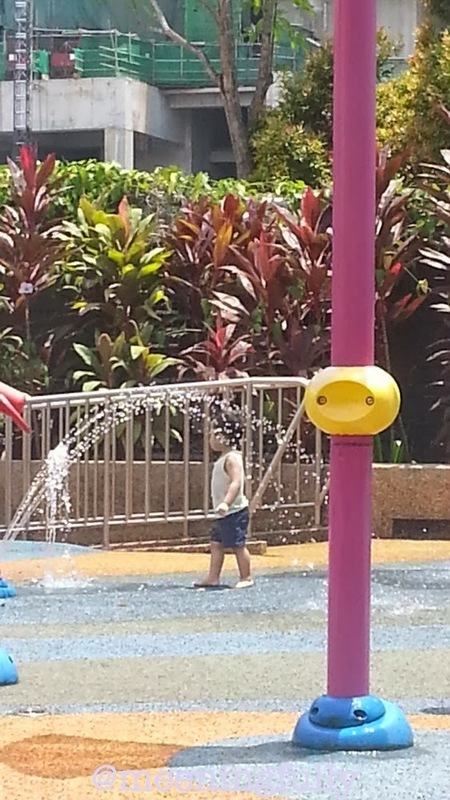 J exploring the water jets. Slowly, but surely getting acquainted with his surroundings. Finally confident enough to explore on his own. The water play has lots of tilting buckets, fountains and water cannons that can be controlled by children to have a cool water fight, encouraging interactivity. The water sprays are all in the shape of giant flowers, in line with the garden team of the rooftop play area. One of the few water play areas in the west. 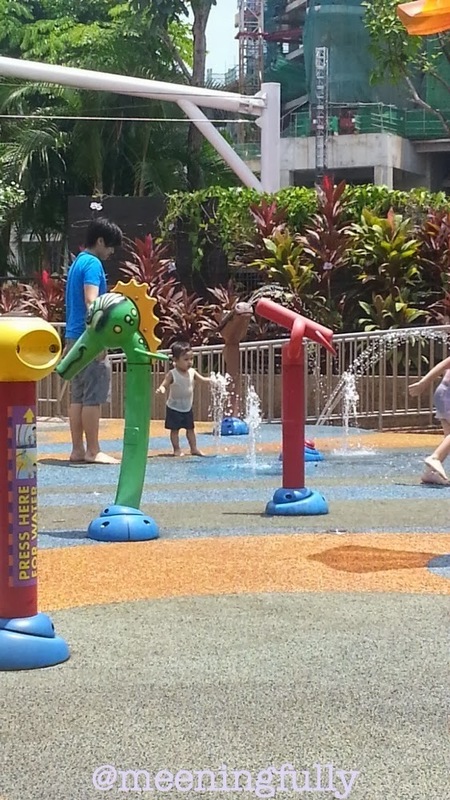 While not as large as some of the other water play areas at various malls, this can definitely keep your kiddos occupied for at least an hour, and.... this is free! Hop over to IMM, Jurong East if you have the time.